Backpacking in Iran is very common and popular. More importantly, it’s safe and easy. Whether you’re planning on backpacking or suitcasing like me (since I prefer suitcases over backpacks), Iran is a perfect place for that. In fact, Iran is one of the best budget backpacking options in the world. However, many independent travelers might feel overwhelmed when planning a trip to Iran. But fear not, I’m here to share my experience from my trip to Iran. Many travelers associate backpacking with hoards of loud youngsters who travel around the world to party. There’s nothing bad about it, but I can see why some people might think it’s not their cup of tea. I definitely didn’t get that vibe from backpackers in Iran. Everyone I met was pretty mature and interested in learning about the place they’re visiting. Iran is perfectly safe to backpack around. Locals are helpful, so even if you get lost you won’t be in trouble as there will always be someone to help you. 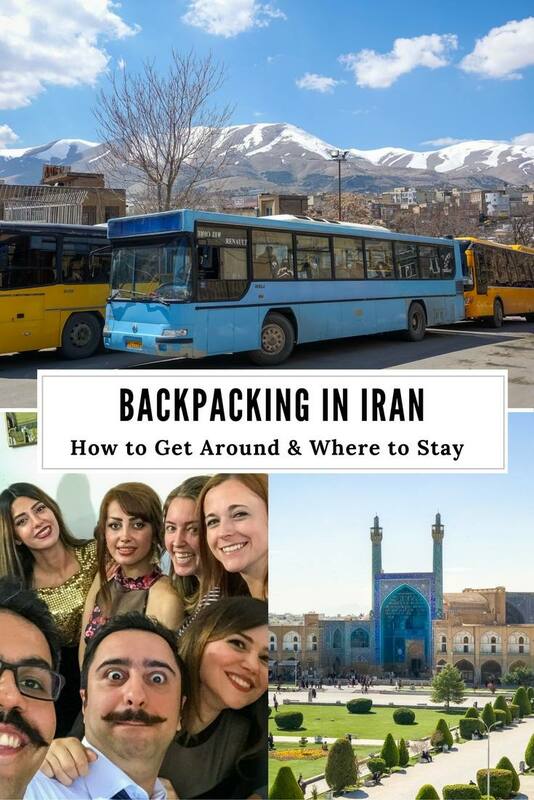 Iranians tend to get very excited when they meet a backpacker. They’ll want to invite you to their party, wedding, stay at their places and feed you. But before you say yes to everything, you need to remember about two things: one is tarof, another one is begbacking. The first is a local custom when denying a cup of tea at least three times before accepting is considered courteous. It applies to people offering you free things and you’ll need to reply with a counteroffer three times before they take your money. The second thing I strongly advice is not relying solely on Iranian hospitality. I see a lot of bloggers telling travelers that they can go to Iran for free, as locals will give you housing, food and everything else. Don’t be a ‘begpacker’ and expect to be given everything! Give Iranians something instead of just taking from them, as you’re the one coming from a foreign country. My friend and I gave some English books to young girls we met and they couldn’t be happier. 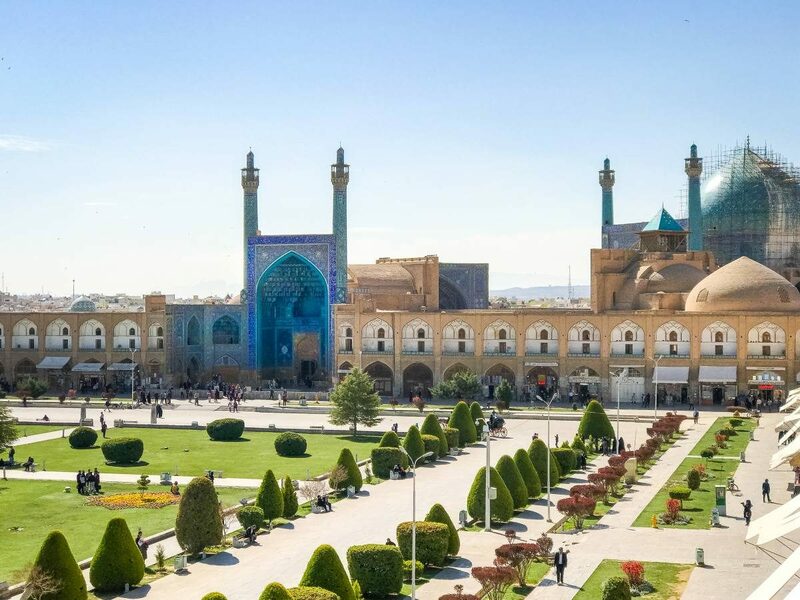 Getting a visa to Iran is relatively easy, especially as many nationalities are eligible for visas on arrival. Keep in mind that some nationals (US and UK citizens) aren’t allowed to travel around Iran freely, stay at local homes, and can only visit on an organized tour. 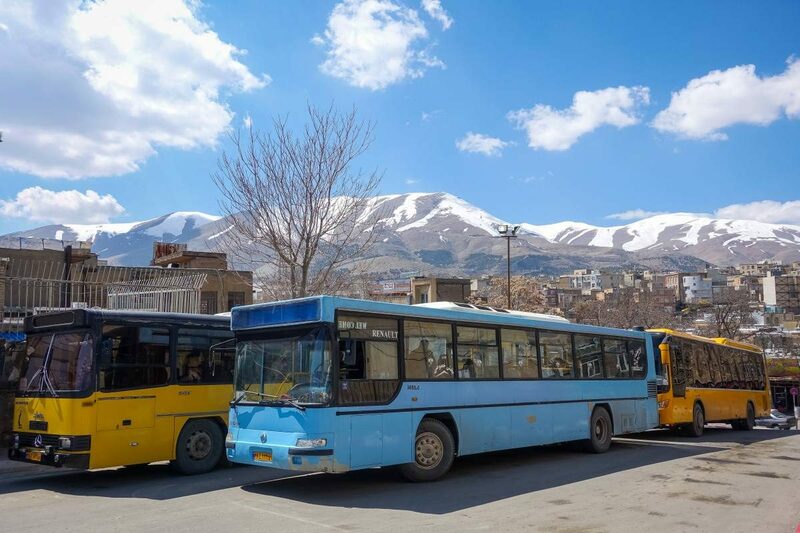 If you’re not a tour person, you can hire an independent Iranian guide so you don’t feel like you’re being driven around by a giant tourist bus. There are some bloggers who got into Iran using 1st Quest Authorization Codes, without booking an actual tour, but it doesn’t make things easy. Unless you’re planning on Couchsurfing all the time, all hostels and hotels were asking for passports and said they can’t accept any backpackers from the US or UK. On top of necessary things in Iran, you might want to pack some make-up. Iranian girls are always on top of their make-up game, and if you’re not putting anything on you’ll be asked why not about million times. Dress code is incredibly important in Iran. 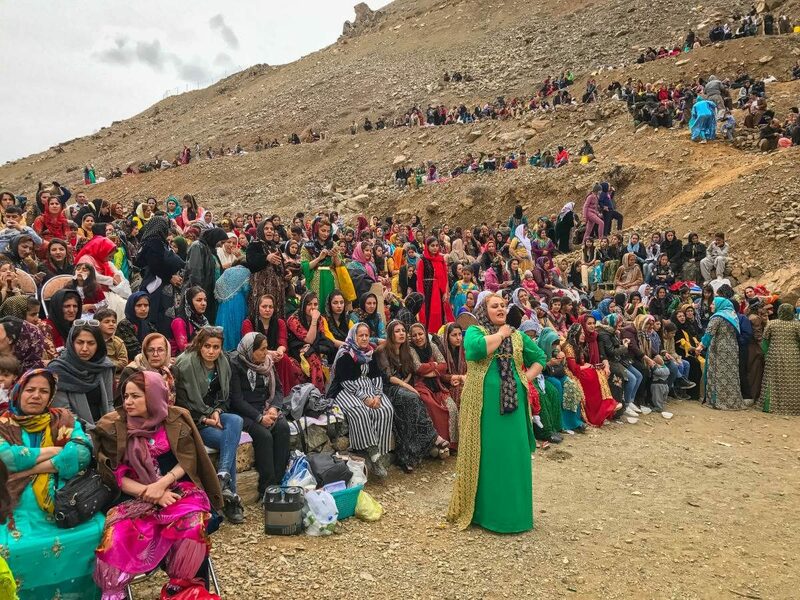 Depending on places you want to visit you need to be prepared for the cold and warm weather, so make sure you plan everything accordingly and respect Iranian dress code. Planning the financial part of a trip is often the most difficult step, as you won’t be able to take any money from the ATM or pay with a credit card. The best time to visit Iran depends on what you want to do, but I’d advice against certain times to visit. Avoid the period of Navroz (Iranian New Year) as it’s a 2-week long celebration and every Iranian is spending time with their family, what makes it difficult to hang out with locals. Many places also close down for this occasion. In my opinion, April to June, and September to November is the best time to visit Iran. This way you can avoid extreme heat and extreme cold. 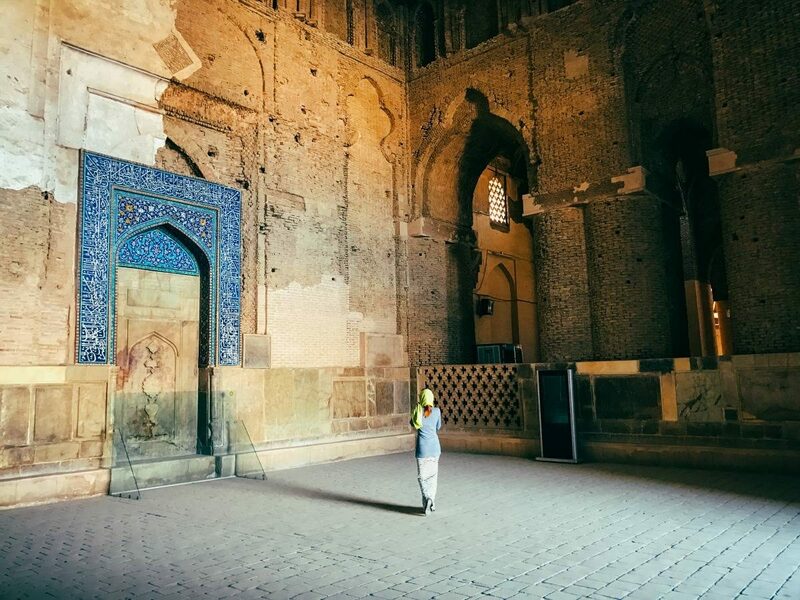 You might feel like a real luxury traveler when you’re backpacking in Iran. Buses are cheap, taxis are reasonably cheap too, and their standard is way higher than elsewhere. Similar to Argentina I’d say. Buses -There are plenty of bus routes and Iran. I often chose to travel overnight to save time and money, and it was perfectly safe. The only issue with traveling overnight was the fact that most buses arrive between 3 and 5 am, so you may end up banging on the door of your guesthouse or hostel once you arrive, as most of them aren’t open 24/7. It’s not a big issue, but something to keep in mind. Trains – Trains are slightly more expensive (but still affordable), but more comfortable for long-distance travel. You can ask any Iranian friend to check the schedule for you. Flights – Iran is a big country, so domestic flights are a popular form of transportation. It costs around $40-70 to fly from Tehran to another place, and it saves a lot of time. Taxis – Traditional yellow taxis are everywhere in major towns, so you won’t need to do anything special to find them. Most taxis are affordable. You can write a price down to avoid confusion if your driver doesn’t speak English. 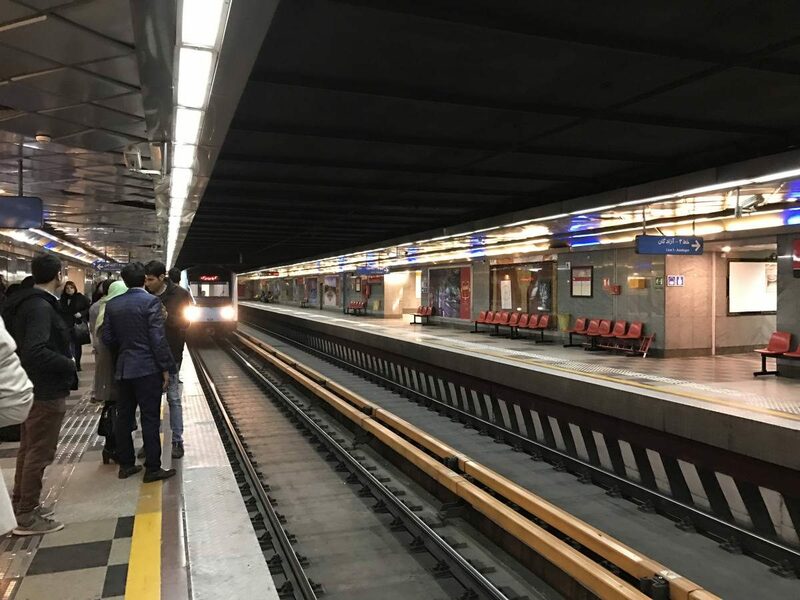 Metro (in Tehran) – Metro in Tehran works great and lets you avoid traffic. Recently they opened a metro line leading to the airport, so you can jump in straight after your arrival. 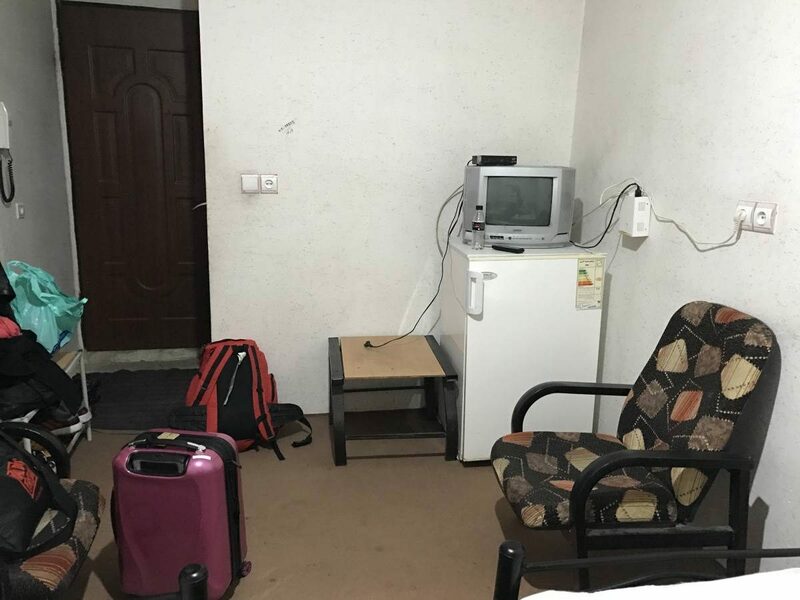 While there aren’t many hostels in Iran, you can find a decent amount of cheap guesthouses as well. I was randomly choosing places from Lonely Planet Guidebook. Apart from the first night in Tehran, I didn’t book anything in advance. I asked a few guesthouses to call my next one and let them know that I’m coming, but walk-ins are more than welcome. Couchsurfing in Iran is highly popular but officially illegal. You can’t tell the immigration officer that you’re going to couchsurf. That’s why it’s important to have a first night booked at a hotel or a hostel. 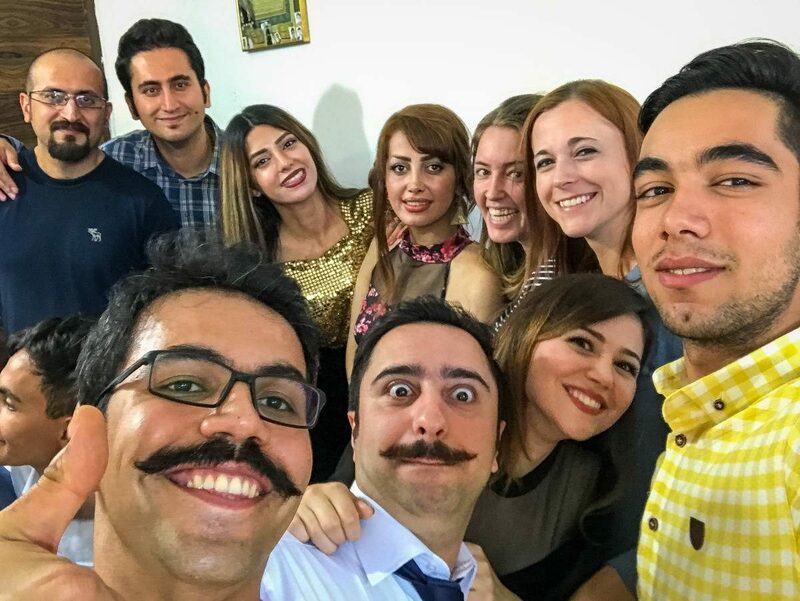 Couchsurfing in Iran is totally safe and it’s a fun way to meet other travelers. 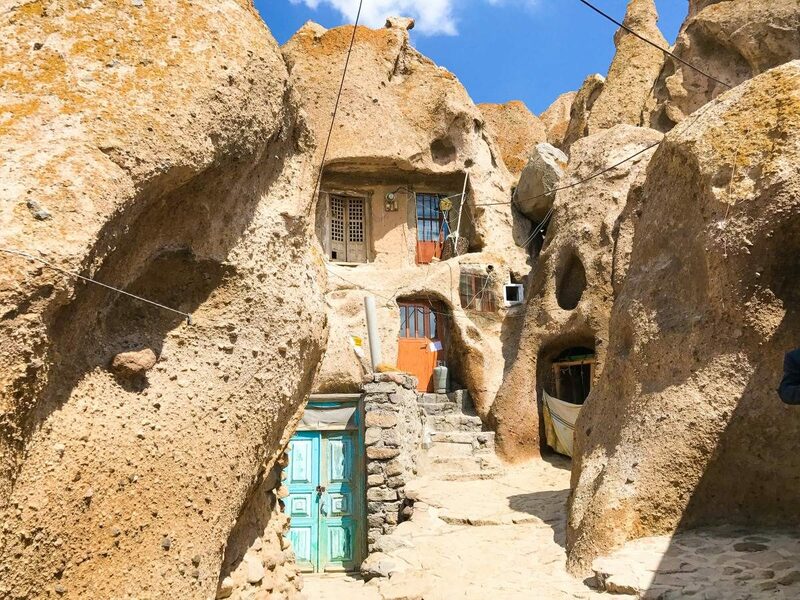 There are so many incredible places to go to in Iran that you might have a difficult time picking where to go. Iran has basically everything, from lakes through mountains, to beaches and deserts. Typical tourist route starts in Tehran and leads through: Kashan, Esfahan, Yazd, Shiraz, and Qom. There are surely more places to stay in these places, a wide choice of restaurants and beautiful mosques. However, it also means more tourists and crowds everywhere. Every young local will tell you to skip Qom. Unless you’re really into religious sites they all told me they would never visit this place. I opted for some less visited on top of the traditional route: Tehran, Sanandaj, Tabriz, Kandovan, Lake Urmia, Esfahan, and Kashan. I was amazed by all these places, but I think Iranian Kurdistan with its capital Sanandaj felt the most local and friendliest to me. Esfahan and Kashan felt definitely different. There were more picturesque attractions in both places than anywhere else, but it also involved souvenir stores, encouraging vendors and tour buses full of Chinese visitors. I definitely wish I had more time to visit other gorgeous places like the red village of Abyaneh, mosques of Shiraz, the island of Hormuz, and go skiing in Dizin. Let me put it simply: you’ll either love or hate the food in Iran. There’s a big difference between eating in tourist restaurants, local diners, and Iranian homes. With the last one obviously being the best. One thing I note is those good restaurants are never located on the ground floor – they’re either in the basement or on the first floor. Kababs are the main dish and while they might be in different forms, it’s always meat, rice and bread and some basic salad made with onions and cucumbers. Local shops will also sell you their pre-made pizzas (not my favorite) and ash – a thick soup of lentils, beans, vegetables, mint, onions, and yogurt. I heard about ash before, but I wasn’t aware of different types of ash. Ash sole is usually green with noodles, ash eshte is thicker. There’s also halim, a meat-based cinnamon milk soup – I definitely wasn’t a fan of this one! One thing I noticed is that Iranians love their sweets. 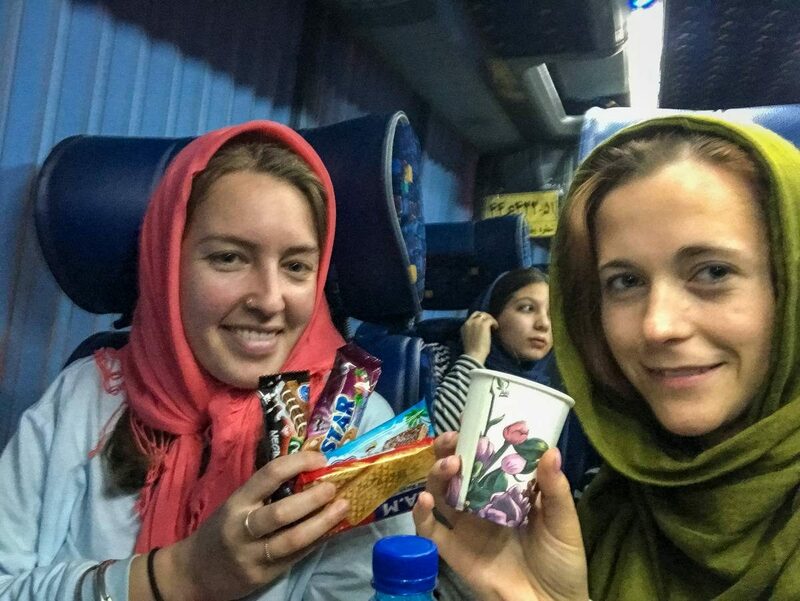 You’ll always be welcomed with cookies and dried fruits at Iranian homes, and served a box of sweets on long-distance buses. If you’re a vegetarian, the moment you step out of the tourist route you’ll encounter some difficulties. I didn’t find ANY vegetarian food (aside from just bread, rice, and cucumber salad) anywhere. 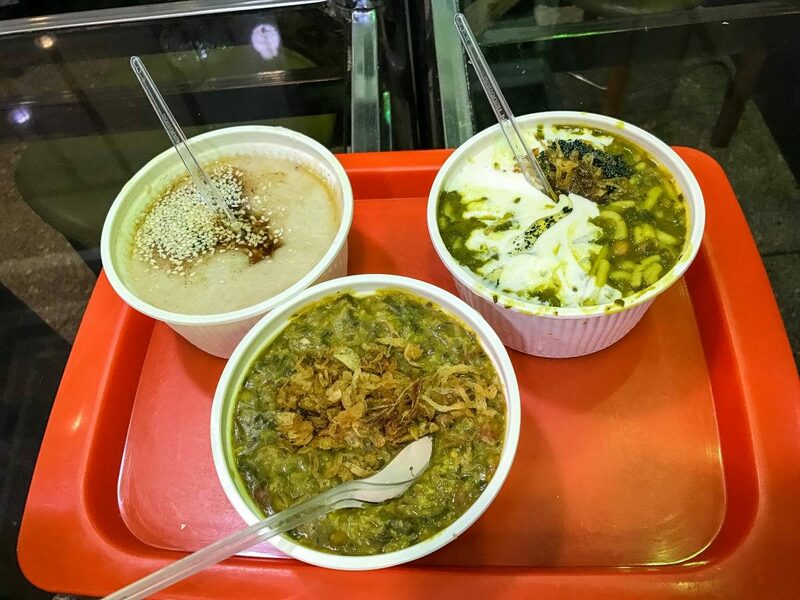 In Esfahan and Kashan I was able to try some vegetarian things targeted for tourists. They were all eggplant and lentil based though. Don’t buy water. There are drinking fountains literally everywhere, so you don’t need to spend money on it. Water is clean and safe to drink. The Internet is censored in Iran, so you won’t be able to see certain websites, or check your Facebook. The most common social media in Iran is Instagram, so expect to communicate with you new Iranian friends though it or Telegram app (like WhatsApp, but encrypted). To access the internet freely in Iran you’ll need to download and purchase VPN. Remember to do it BEFORE you’re in Iran. If you’re going to Iran for drunken parties, you might want to switch your destination. Alcohol and drugs are illegal in Iran. It doesn’t mean that Iranian don’t party. They dance, they sing, they talk, they have fun together. It was actually kind of refreshing to experience Iranian parties. I am in Kurdistan from last 7 years and no doubt Kurdish people are so friendly and helpful in all the way. Very helpful information. Having lived in Iraq in my 30,s i gave long wantedcd to visit Iran and this is encouraging as it’s the way I like to explore a country. Hope to get there next year.